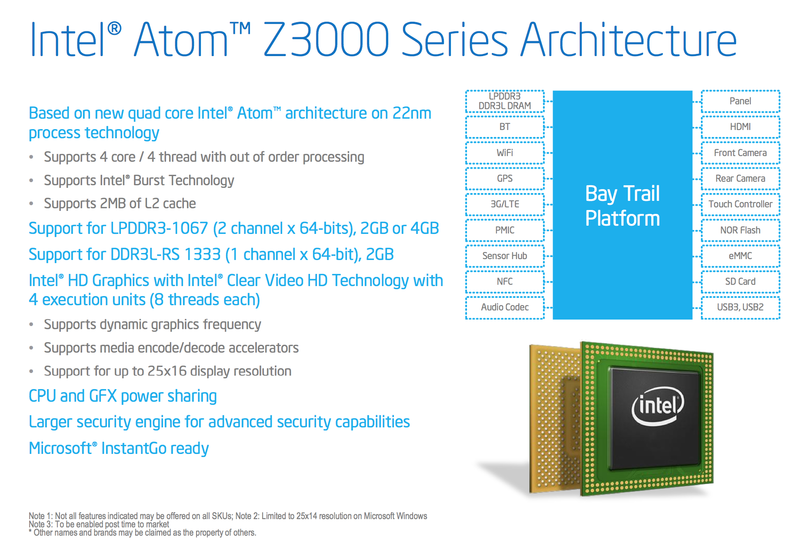 The Intel Atom Z3735F is a part of its Bay-Trail line of SoCs based on their Silvermont architecture, which is a completely new architecture coming to the Atom series. 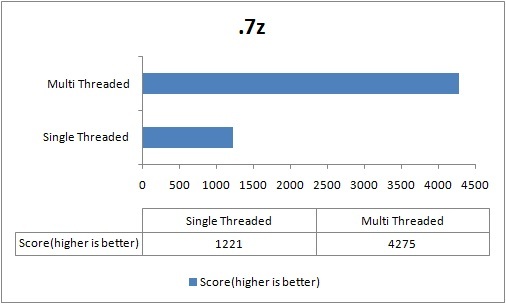 Intel’s main goal intention was to compete with other mobile SoCs so had to cut down on power usage, the Z3735F has a TDP of just 2.2W. It supports up to 2GB of DDR3 1333MHz RAM, which is what we have got here. As mentioned before, its a quad core processor with a clock speed of 1.33GHz with a turbo speed of 1.83GHz. It has 2MB of shared cache and HD 4000 Integrated graphics. 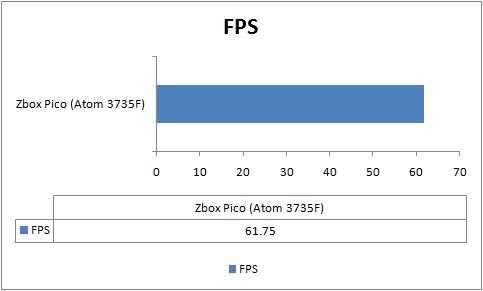 The Z3735 is not a top of the line processor in this series, there are chips that at higher clocks (1.49GHz, 2.39GHz turbo) and support more RAM (up to 4GB). Although I think the slightly higher clocks and extra RAM would be useful, I would not pay a very premium price for it as the gains might be just marginal. 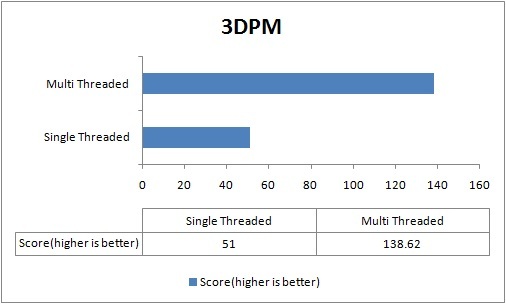 Today, we will be running a combination of tests to stress both single threaded as well as multi threaded performance, in both real work and synthetic tests. 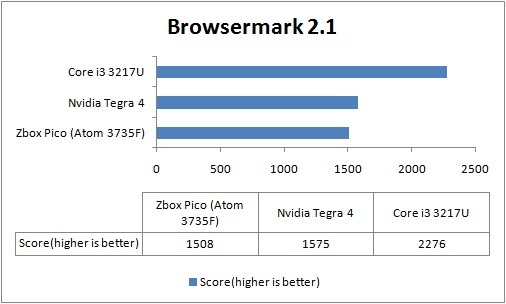 Including some browser based benchmarks as well. 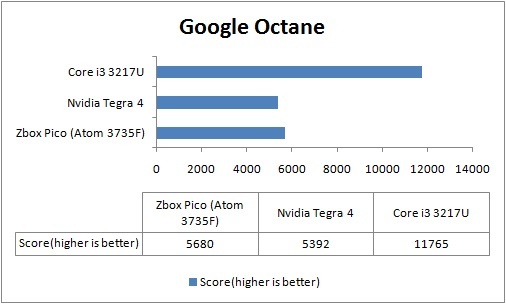 I have also included benchmarks of the Nvidia Tegra 4 , which was on the Zotac tegra note I had reviewed earlier. Since it was running on Android on a completely different browser, the comparison is not completely fair and take it with a pinch of salt. Overall the CPU performance is not bad. Its obviously not the fastest thing around but is competitive in the mobile arena. Just goes to show that these mobile SoCs are getting really powerful and can take desktop workloads at a very low cost, size and power consumption.